Staples has a great printable coupon out now to help finish stocking up on Back to School supplies. Thanks to all these great sales (and coupons) this year we actually have a set of school supplies at home this year to help keep supplies that went to school at school. I don’t know about you but I know last year Homework would be a nightmare some days when we couldn’t hunt down a single pencil. Or we had a pencil but no erasers making it no better than a pen (Not the best homework writing tool for a 5th grader). Staples has great deals this week to stock up your own desk at home for school or office needs. Don’t forget to print your $5 off $25 coupon valid 8/23-8/27 to make these great deals even better! Big Lots does not accept coupons but comparative shopping can be just as important as coupon usage when saving money. They do have a Buzz Club Rewards card you can sign up for HERE (be sure to take a look at how that works so you can avoid any confusion). 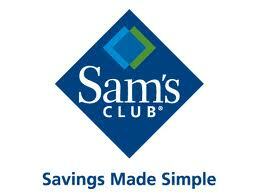 Have you wanted to shop for a few things at Sam’s Club but not sure if the membership is right for you? 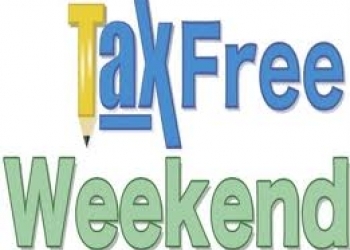 This weekend (8/5-8/7) is having an Open House and just in time for our very own Tax Holiday Weekend. By now you should be getting familiar with how much you are willing to pay for certain items so go check it out and see if you’ve been missing out or if you are better keeping Sam’s off of your growing list of weekly stores. Check out the details of this Open House Event and if you’re a college student be sure to read toward the bottom to find out how to get your membership at a discount! Thanks Nan for sharing this great information! Old Navy has a great sale going on just in the time for Back to School and the Tax Holiday weekend. Kid’s Jeans starting at just $10 plus Dresses, Hoodies, Tees, Polos, and more starting at $6. Be sure to check out the Super C-A-S-H Event thru 8/8 as well and don’t forget the combination to enter Old Navy’s great sweepstakes with 160 prizes including College Scholarships, Laptops, and Old Navy Gift Cards. Payless ShoeSource is kicking off their BOGO 1/2 Price sale just in time for Oklahoma’s Tax Holiday Weekend. Shop online with Free Shipping to your Local Store or grab the kids and get everyone stocked up for Back to School. A pair of shoes just for Gym are on my son’s school supply list and though I hate buying a pair of shoes I won’t see for the next 9 months, it comes in handy to get a good pair that comes home, in nearly new condition, just in time for summer. 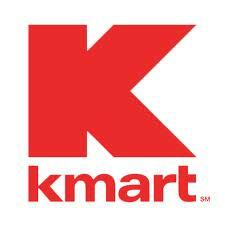 Kmart is offering a new $5 off $50 purchase coupon just in time for our Tax Holiday Weekend. This coupon is valid 8/5 thru 8/27 and you can print it HERE.